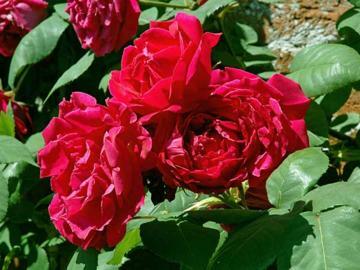 Strongly scented double crimson-red flowers in early summer with occasional repeat flowering later. Strong growing, medium height climber. Good for training against walls, arches and pergolas.